I feel like I want sporty styling but in the end that won't be as important as ride comfort, low noise, good performance/handling and overall reliability. I love the styling of the 2016+ Kia Optima but am a little leery of 2016's because first year of a redesign. I've had a 2012 Accord SE since fall of 2011 and like it a lot but am not tied to getting another Accord. Of course it might turn out that way. I like the styling of the latest generation Accord that followed 2008-2012, too. Basically, it will likely come down to Accord vs Sonata vs Optima vs Camry vs Mazda 6 (seems less likely) vs Ford Fusion. I am sort of biased against Nissan because of years ago they seemed to have brakes issues. But obviously Altima is in this same class. Not keen on VW due to difficulty and expense of repairs if anything should go wrong. Staying away from "Luxury" lines due to cost of repairs vs the standard lines. Key points: Good trunk size, good handling & performance while maintaining a fairly quiet ride and being reliable, and looks good on the outside. 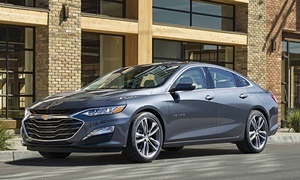 if I was spending $23K on a sedan with some power I'd at at least drive a 2016-2017 Malibu Premier 2.0T with 250 hp . 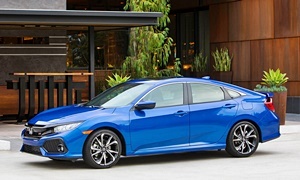 It is as quick as a Accord V6 but making 37 mpg highway, shorter braking to a stop from 60 mph, better handling...and it costs more than $10,000 less. The new Accord drops the V6 and replaces it with a 2.0T. Mazda 6 doesn't offer anything over 185 hp and no turbocharged engines. I would recommend the Mazda 6 because it fulfills all your priorities, but it's loud inside and only has 185hp. The Ford Fusion drives well, but its engines aren't refined, strong, or efficient. It handles, isolates sound, and rides well though. The interior is depressing compared to the Accord and Optima. Reliability isn't great and owner satisfaction isn't as good as most others in the same class. I'd skip it. I was screwed by Ford in the early 90's when my transmission failed twice and ecu fried once in my Taurus Wagon. They wouldn't honor the warranty. The car was only 2 years old. The car drove well when it ran. Unfortunately, it was a complete lemon with one major mechanical or electrical problem every month. Last Ford for me (and American car so far for that matter). They are probably better now, but that turned me off of Ford for good. The Altima is a boring unimpressive rental car. The Camry is better, but it's nothing special. Everyone drives it. I understand if you don't want to buy another Accord. 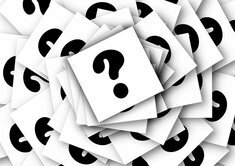 It's the go-to choice for most people and isn't the choice if you want to think outside the box. I've owned two Accords and thought they were great cars. It's a smart buy, but there are many new entries that have caught up to it. 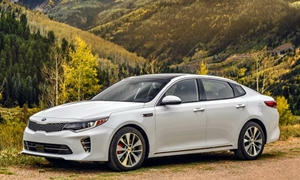 The Kia Optima is one of the best midsize sedans. It's reliable, drives well, and has many standard features. The ride is comfortable, but more firm than the typical Camry. I think it'll be as close you can get to "luxury." The Sonata is a softer version of the Optima, but it also doesn't drive as well as the Optima. Kia is often the brand that fixes what Hyundai messed up on. Owner satisfaction for the Optima is really high. 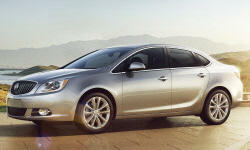 It also might be worth to check out the Honda Civic and other small sedans. They've gotten almost to the size of your 2012 Accord and are very practical. Better MPGs, a decent trunk size, and more features at a lower price. You could get a well-equipped new Civic EX-L in your price.